Index tracking is a method of tracking the trend of a certain market index with a small number of constituent stocks. It is one of the negative portfolio management strategies and has developed rapidly in China in recent years. In this paper, three sample stocks are selected by three stock selection methods, and an exponential tracking model based on linear regression is constructed. In order to avoid the linear regression coefficient being affected by extreme values, this paper also establishes index tracking based on quantile regression model. Specifically, this paper selects the SSE 50 Index as the target index, and establishes two index tracking models by giving the constraints of establishing the index tracking model, and finally passes the maximum weight stock selection method, the maximum market value selection method and the maximum correlation. The coefficient stock selection method selects stocks of the SSE 50 index, selects the first 15 stocks of each stock picking method as the sample stock space, and finally assigns weights to the selected constituent stocks by fitting the real data. Markowitz, H. (1952) Portfolio Selection. The Journal of Finance, 7, 77-91. Gilli, M. and Këllezi, E. (2002) The Threshold Accepting Heuristic for Index Tracking. In: Financial Engineering, E-Commerce and Supply Chain, Springer US, 1-18. Koenker, R. and Bassett, G. (1978) The Asymptotic Distribution of the Least Absolute Error Estimator. Journal of the American Statistical Association, 73, 618-622. Koenker, R. and Bassett Jr., G. (1978) Regression Quantiles. Econometrica: Journal of the Econometric Society, 46, 33-50. Mezali, H. and Beasley, J.E. (2013) Quantile Regression for Index Tracking and Enhanced Indexation. Journal of the Operational Research Society, 64, 1676-1692. Baestaens, D.E. and Bergh, W.M.V. (1994) Neural Network Solutions for Trading in Financial Markets. Pitman Publishing, Inc., London. Ruiz-Torrubiano, R. and Suárez, A. (2009) A Hybrid Optimization Approach to Index Tracking. Annals of Operations Research, 166, 57-71. 沈双生, 郭子忠. 指数型基金的发展优势和投资风险分析[J]. 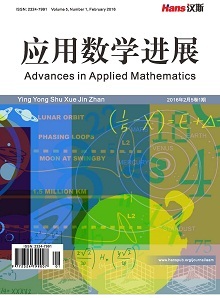 金融教学与研究, 2003(2): 35-36. 范旭东. 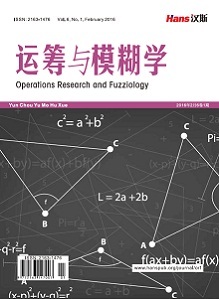 跟踪误差与优化指数投资策略——理论分析与实证研究[D]: [硕士学位论文]. 成都: 西南财经大学, 2006. 杨国梁, 赵社涛, 徐成贤. 基于支持向量机的金融市场指数追踪技术研究[J]. 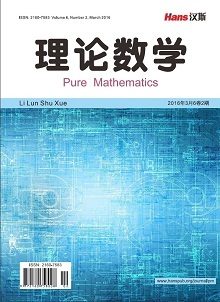 国际金融研究, 2009(10): 68-72.